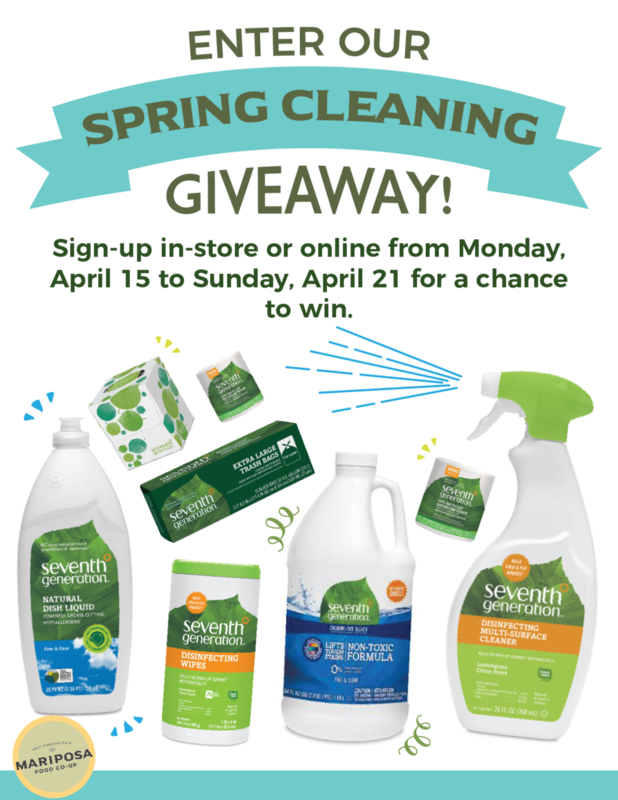 To celebrate Earth Day, enter in-store or online for a chance win earth-friendly household cleaning products! Mariposa is proud to carry items that come from environmentally-conscious companies that care about our world /and or promote sustainable habits to preserve our planet. The winner will be selected at random and announced on Earth Day (Monday, April 22). Recipient must be able to pick-up items within 48 hours of being selected. If not, another recipient will be chosen. The winner will be selected at random and announced on Earth Day (Monday, April 22). Recipient must be able to pick-up prize within 48 hours of being selected. Limit one entry per person. Enter in-store or online. Entries will be closed at midnight on Sunday, April 21.